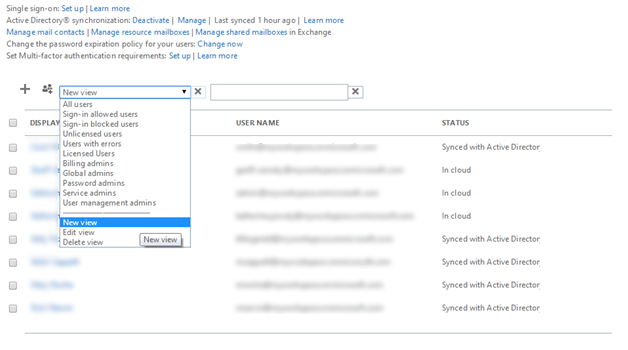 In Office 365, when managing users and groups under the Office 365 Admin Center, they have several canned views you can use to filter the list of employees and groups that you see. 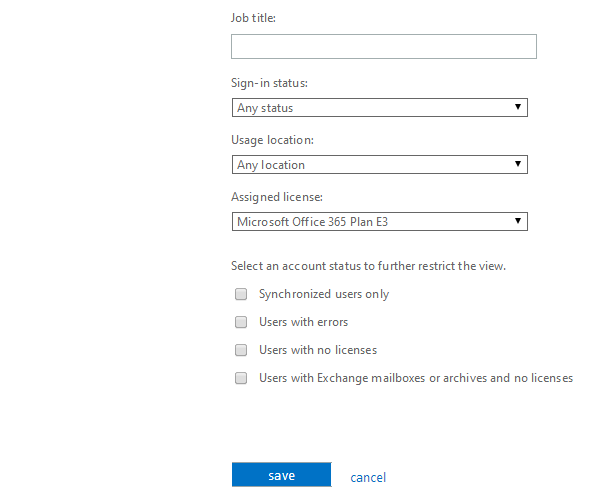 I’ve left every other option blank except for Assigned license. 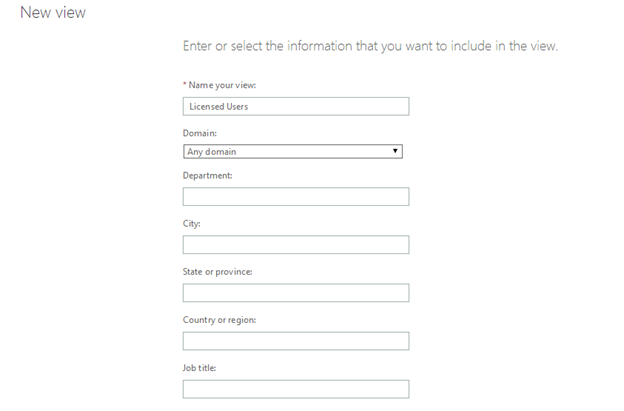 I’ve changed this field to reflect my client’s license plan, which is the E3 license. Click Save, and you’re good to go. 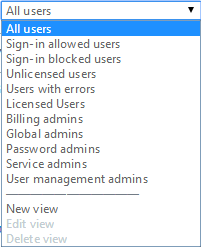 If you have multiple licenses in use, you will need to create multiple views, as it is a single selection drop-down.